Here are just a few of my favorite shots of this palette. Like I said, I went a little crazy but I love the combination of colors in here. 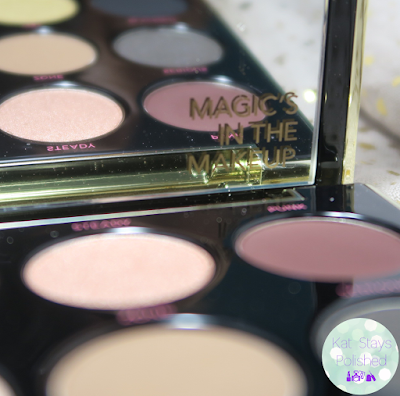 You've got everything from soft neutrals to bold metallic shades to smokey eye madness! 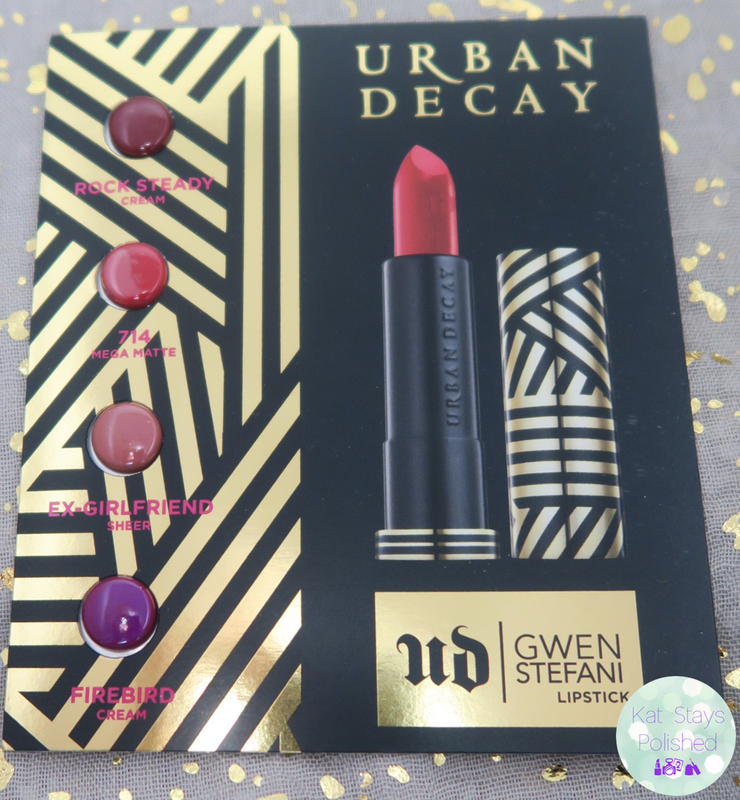 The palette also came with a sample card of 4 shades of lipstick. I still haven't bought any of the lipsticks yet. I'm afraid that by the time I am ready, they'll be all gone! Here begins swatch central! I took it one row at a time since each seemed to have a theme to it. The top row is the soft neutrals. It's got everything you need for the most natural eye look possible. The second row is more of your smokey eye row. Again, pretty neutral with a little added drama. The third row is full of the colorful metallics and the super dark smoke color. I will say that, per usual, I am happy with the performance of the shadows. They are so smooth - the colorful shades do have a little bit of grit to them, but that's to be expected with these types of colors and I really don't mind it. Happy shopping, folks! Come back and tell me how you liked it! I'm in love with the packaging as well! 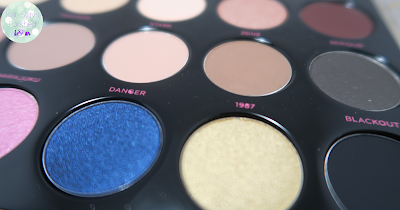 Danger is such a gorgeous shade of blue. 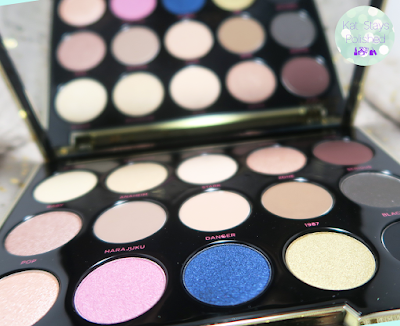 Looks like a great eye shadow palette. I am not crazy over it but Danger is my most favorite color in the palette and it blends really well with other colors like Serious. For personal use, it is OK but I think you'd get more bang for your buck with a Viseart. I do love the lipsticks. I love how Gwen was heavily involved at every step with creating these shades that she wears daily. I love it, so wearable! I'm like you - didn't need it but want won out. Your swatches are excellent. VERY wearable. 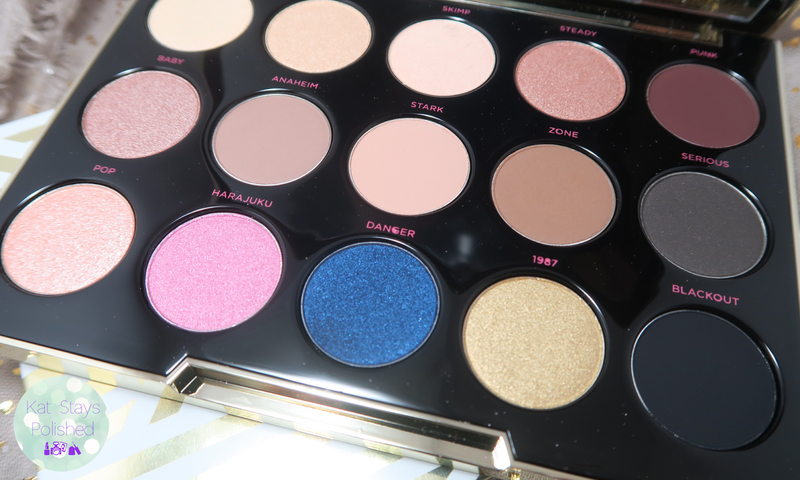 I almost wish they released this like the On The Run palette with a bold lip because i think alone, it doesn't remind me of Gwen but the lipsticks and shadows together definitely do! I love your swatches, they're so neat! 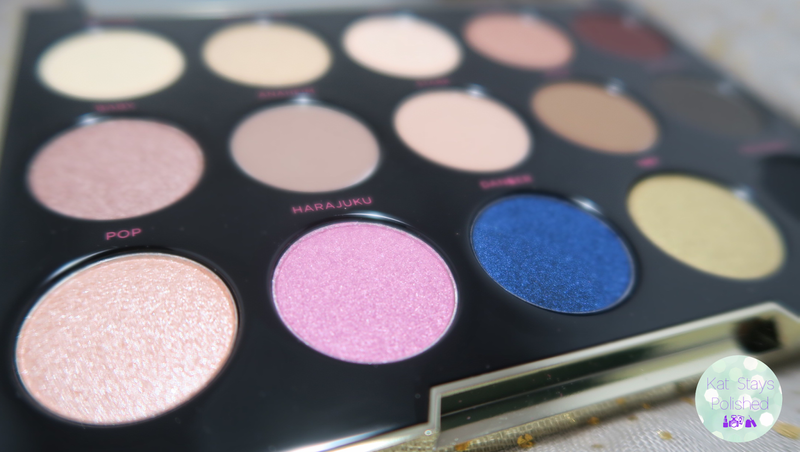 So glad I grabbed this palette! They are so pretty. Mine is still untouched and sitting prettily on my vanity. 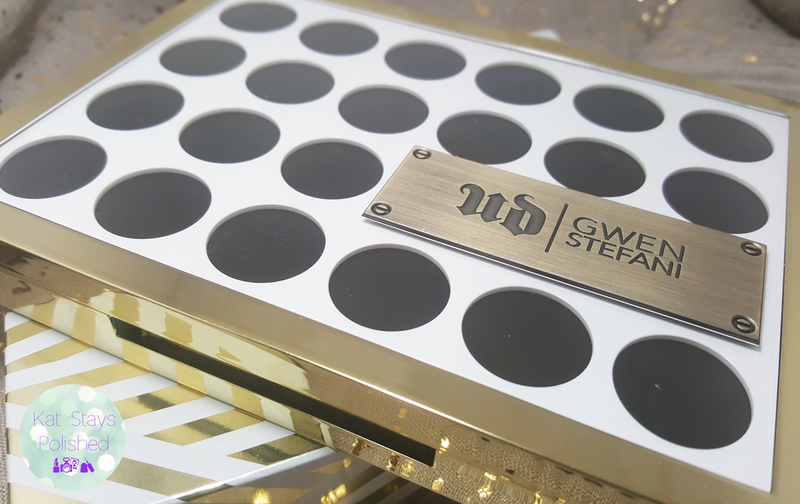 I have resisted buying this palette all this time and I'm glad I did... as much as I love Gwen and I know I would use it, I realized I wouldn't use it as much as I thought. But it's gorgeous for sure.